The year of the Gulf of Finland in 2014 gathered the experts of Finland, Estonia and Russia together to develop the cooperation between the counties regarding the condition of the Baltic Sea, in order to secure its sustainable use. 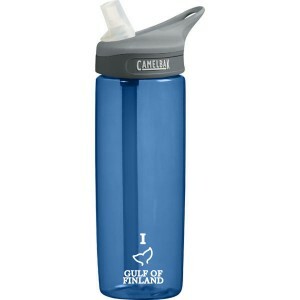 The aim was to together work to make the Gulf of Finland healthy. Solutions based on research were submitted to the decision-makers of all the three countries. In addition to the high political level, many organisations and cities also took part in the activities of the year. For example, several events were organised all across the coasts of the Gulf of Finland to celebrate the year. As a result of the research, the new know-how of environmental issues regarding the Gulf of Finland is applied in school-education. Approximately hundreds of thousands of people in Finland took part in the activities of the theme year. The Finnish Ministry of the Enviroment was responsible for planning the program and the Marine Research Centre at the Finnish Environment Institute (SYKE) was in charge of the practical coordination. Research vessel Aranda appears in the picture above, picture taken by Riku Lumiaro. More On Oy was a partner of the Gulf of Finland in 2014 and were responsible for designing and producing the PR- and by-products for the event manager’s use.